I have spent the last year writing a book. And the two years prior to that thinking about what I would say. 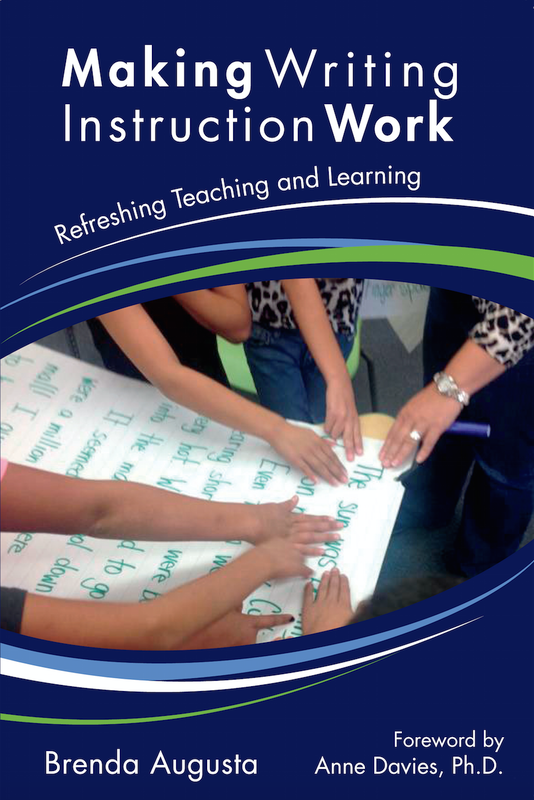 Now that it has actually gone to the printer I find myself thinking about what in my own writing process could inform my teaching of writing. I don’t mean to imply that a sample of one is enough to generalize to all writers, but rather that reflecting on my own experience could reveal some truths that I want to pay attention to when students are writing. My first book was co-written with Ruth Gauvreau and Gerry Hector, respectively a teacher-leader and a principal in an urban elementary school. In that writing process more words were spoken than were ever written down. We talked before we wrote, planning a structure that we hoped would allow us to tell our story in a way that made sense to our readers. We left our first meeting with a month to write a chapter each. When we got together again we each read aloud what we had written and then talked about it. We then took that conversation away and revised our writing for the next month. This process continued month by month until the first draft was done. And each time the conversation made the writing stronger. 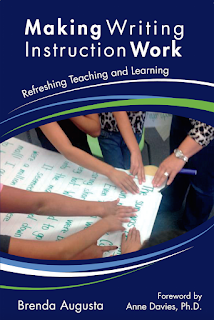 I wrote the new book, Making Writing Instruction Work, on my own. And I missed the regular opportunities for talking about the writing. I worked in isolation for too long – not seeking out colleagues to talk with or to show chapters to early in the process or frequently enough. For some reason I thought I had to wait until I had most of the first draft done before I could share. I have learned that, for me, talking with others about the topic and sharing parts of the writing can’t happen just at the outset or after my ideas are down. I wonder if this is true for any of the students I write with. 2. Writing, like reading, is a social activity for at least some of us and maybe many of us. My son belongs to a playwriting group. They get together and share parts of the plays they are working on – while they are in process. I want a group like that for myself! I also want to explore it with student writers in a more deliberate way. I am thinking about how the idea of a “writing group” could be replicated in a classroom. In my practice currently, we have public conferences where a writer and I read a piece out loud to the class and I give oral feedback describing the ways in which the writer has met our criteria for what good writers do. The other students participate in the process after I model the language and intent of assessment, sharing what they notice the writer doing. I am now thinking that after considerable modelling I could release this further to small writing groups of four students so that writers would receive more feedback more often. I’d love to hear from teachers who are already doing this. 3. Positive descriptive feedback gives you the motivation and strength to keep writing. Writing is hard work. Positive feedback fuels the journey and keeps you going in the parts that are difficult for you. It also helps you be able to hear the feedback that describes next steps or changes that might make your writing more effective or powerful. In my own writing, drafting and revising are deeply intriguing to me. I love the challenge of playing with the ideas and the language until they feel right. It is the feedback I receive from readers and from myself at this stage in the process that gives me the courage and the drive to do the parts that are less interesting to me but still very important – the editing, the layout, more editing, the cover, more editing, the author biography, and one final edit. With students I want to be more observant and intentional about where each writer might really need an infusion of feedback. 4. Writing can be a wild ride. I experience a roller coaster of emotions in the writing process, from euphoria when I get something really right to despair when I question if I have anything worthwhile to say. As an adult, I know how to manage this range of emotions. I have many questions about how I might talk with young writers about this, how I might prepare them for dealing with their own emotions as a writer, how I might recognize when this is happening for a student, and how I might support them when emotions overtake them. I think my first step is going to be looking for opportunities to model how I manage my feelings as I write in front of students. 5. Knowing your audience gives you focus. This one may seem obvious to you. I thought it did to me too. In hindsight, I may have underestimated just how much knowing specifically whom I am writing for helps me. Once I knew that I was writing directly to teachers of Kindergarten to Grade 8 students I could make all kinds of decisions as a writer. I knew how my voice needed to sound. I knew what needed to be included and what did not. I knew the kinds of stories and examples to include in my writing. How do I want my voice to sound in this letter to Mom? How do I want Mom to feel as she reads this letter? What salutation and closing are best suited to my letter for Mom? the importance of knowing our audience and what that looks like in a real letter. 6. It takes a village to publish. Writing is not a solitary activity from start to finish. In the real world there are many people to help and support you. In my world there are colleagues who read and give feedback on content – Sandra Herbst, Anne Davies, Kathy Collins, and Krista Reynolds. There are people who work on the editing and the design of the book – Sheree North, Cori Jones, Kelly Giordano, and Kevin Augusta. 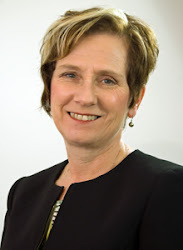 And there is one special person who oversees the entire project – Judith Hall-Patch. I am grateful for their gifts and contributions and know that the book would not be the same without them. I want my writing workshop to replicate the real world as much as possible. My students need more support than I alone can give. I need to explore ways to empower students to help each other as they move through the writing process. I know where to start. The key to peer and self-assessment is modelling.